I had been curious about The Counter since I first saw it in Times Square. It’s taken the place of a certain Juan Valdez coffee establishment, I believe. The idea of getting a decent burger in Times Square struck me–is this truly possible? Void of decent food, this neighborhood is in dire need of anything more edible than Pop Tarts sushi. 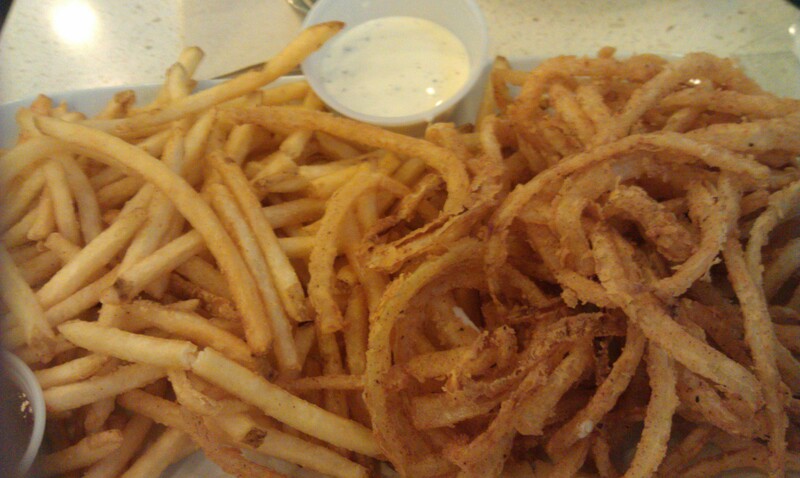 We started with some fries and onion strings. Served with ranch dressing (“America’s favorite dressing”) and barbecue sauce (it had a kick to it), they were acceptable on a whole. Individually, the match stick fries won our taste test. The onion strings were light and delicate, which was nice, but they didn’t pack the desired cringe-worthy onion flavor with each bite. The meat was tender and juicy and cooked to perfection. 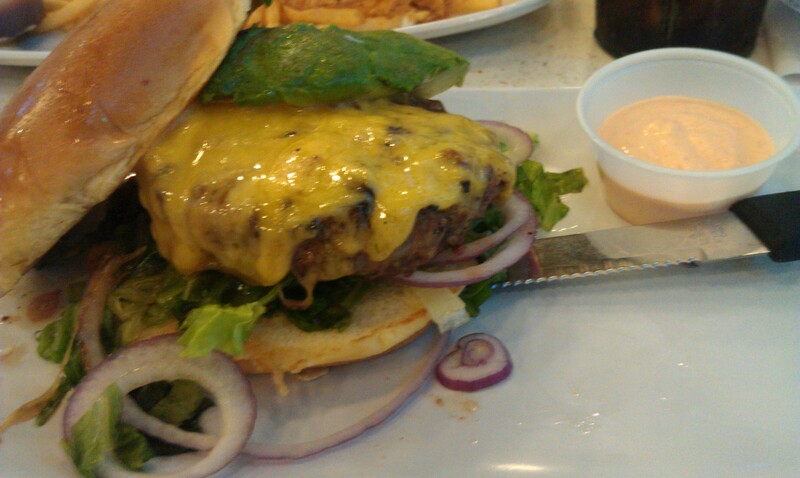 My dining partner’s burger was overdone, he said, but he ate it all so it couldn’t have been that bad. I loved my toppings, which were fresh and ample. After all the burgers I’ve eaten, I should know a thing or two about compiling a delicious sandwich. I was impressed by my own skills. 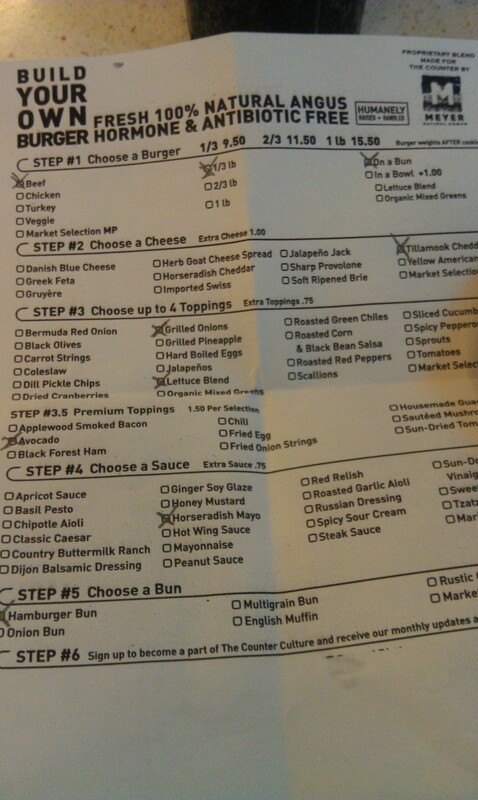 I liked that the horseradish mayo (more mayo than horseradish) came on the side; it doubled as a dipping sauce. The Counter is a great pre-theater destination. We went to see Priscilla Queen of the Desert last night. Both the burger and show hit the spot.